Imagine owning beautiful merchandise that adds colour to your house and also saves environment. Sounds amazing, right? We stumbled upon Cryptic Hues, an Insta-Store that sells beautiful, customised planters, pouches, dish gardens and much more. Wait for the twist, they make it all with jute and other eco-friendly material. Starting at just INR 100, you will find vibrant planters that will add bright hues to your nook. Apart from that, there are customised pouches and bags that can carry your loved ones' names. You can also get dish gardens made for your window sills or gardens. We absolutely love the fact that all these things are made with biodegradable materials. If you want any of these items made, you need to provide them with plants. This wedding season, how about opting for eco-friendly wedding favours? 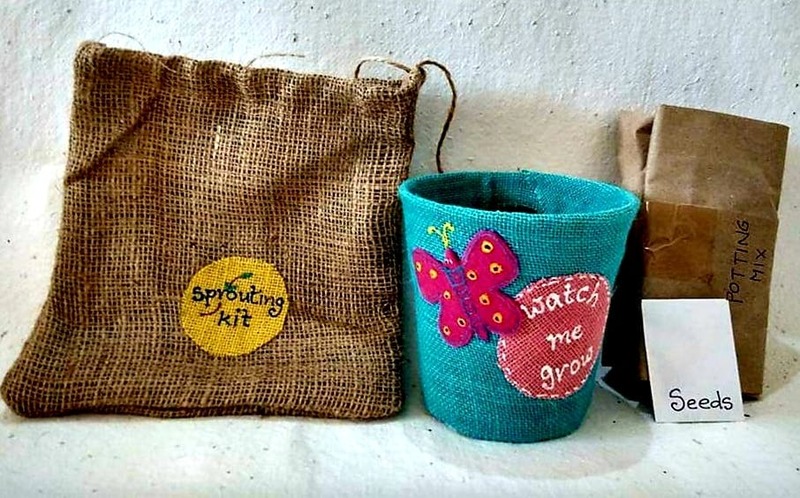 With a huge range of planters and seed packs, you can gift your guests tiny jute bags filled with choicest of seeds. We suggest you check-out the plant sets with personalised labels and name tags. To get a glimpse of their creations, look up their social media handles. If something catches your fancy, you may message them or call on the details mentioned on their handles. This season, be a proud owner of these green decor collectables. Since we browsed through many jute items from this online store, we really wish they kept big jute totes and handbags in their collection.